Ever notice all the extra white-space on the sides of your screen? 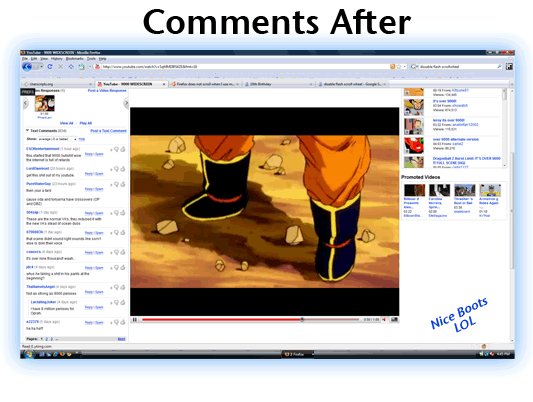 Vids Bigger automatically expands videos to maximize available space! 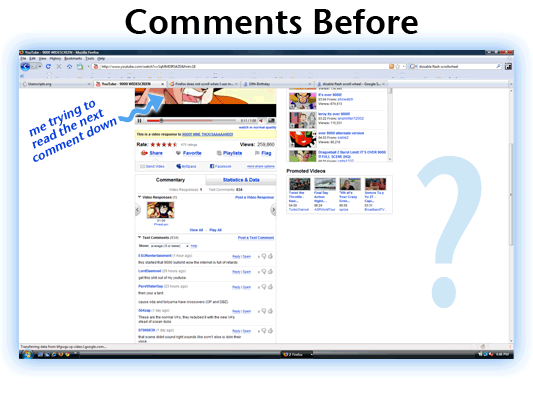 When you try to read YouTube comments, you can't see the video anymore? Never loose sight of the video again! 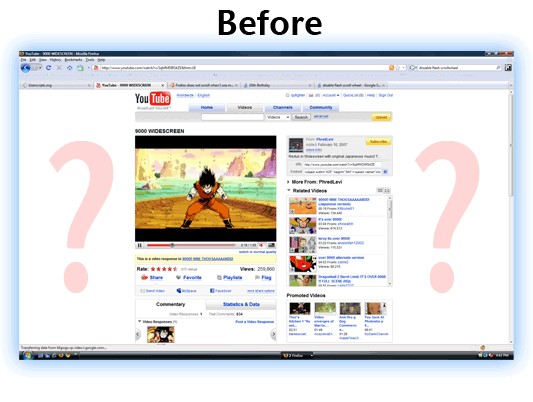 VidsBigger automatically keeps the video on screen & the size you want at all times. 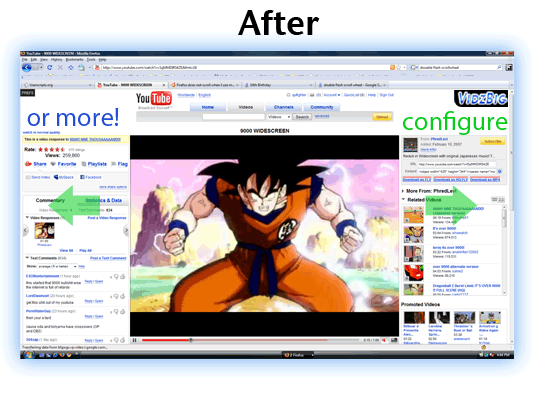 This highly configurable Greasemonkey userscript for Mozilla Firefox puts you in command & control of your own custom YouTube Interface! An exetension for Google Chrome is also availalbe. Supports Hulu too and several other sites! VidzBigger is a participant in the Amazon Services LLC Associates Program, an affiliate advertising program designed to provide a means for sites to earn advertising fees by advertising and linking to amazon.com.